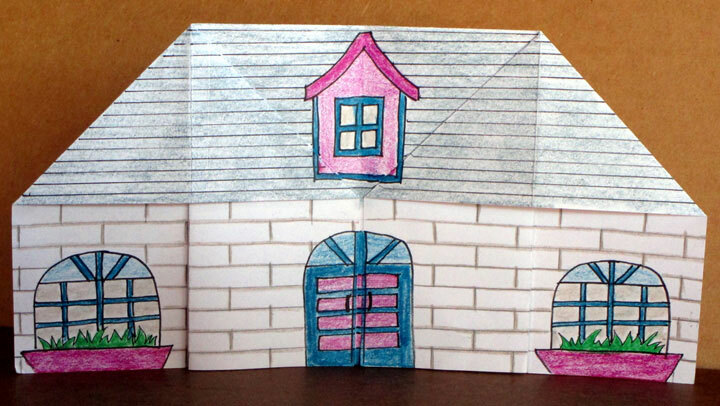 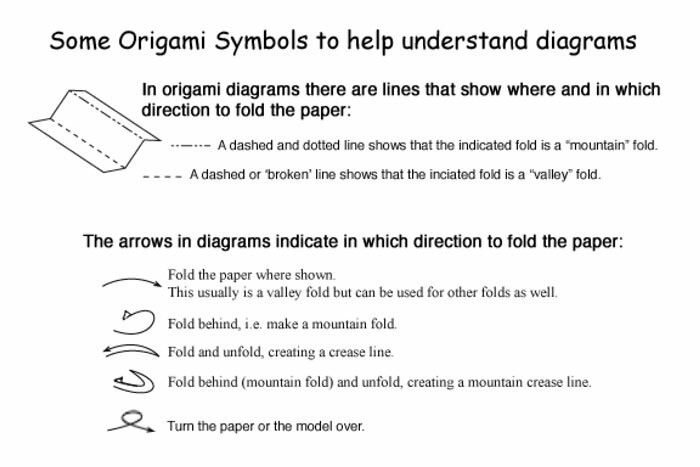 Fold this simple and fun origami house and see how many ways you can use it! 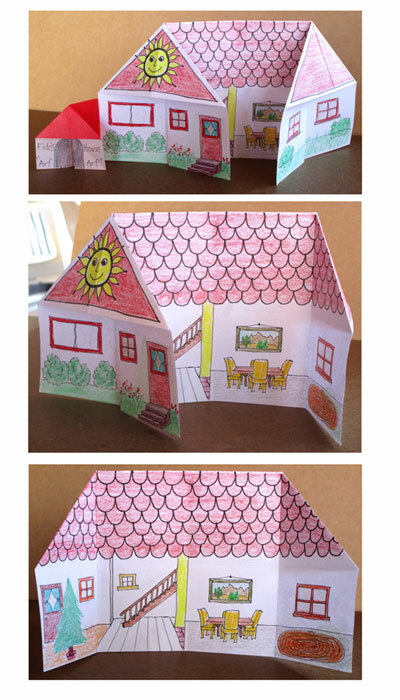 For starters, small houses can be used for unique place-cards on a festive table. 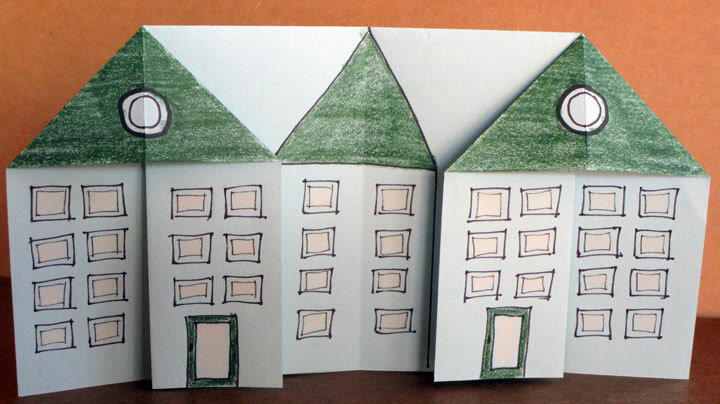 I like having a stack of houses ready & let each guest decorate their own. 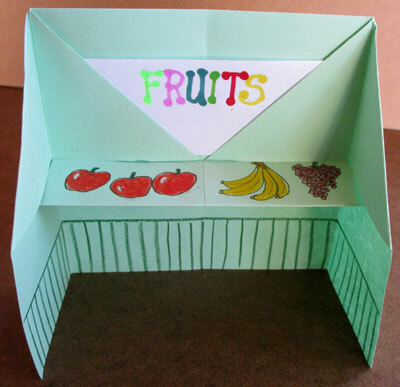 Or they can be decorated ahead of time so you can arrange the seating. 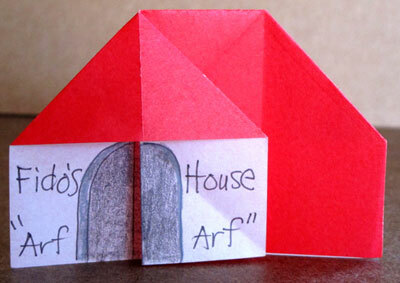 Alternately have pre-decorated models for guests to select & add their own names. 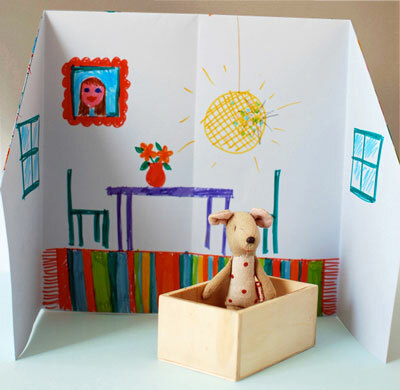 This model can also become a greeting card by adding a message inside or out or all over! 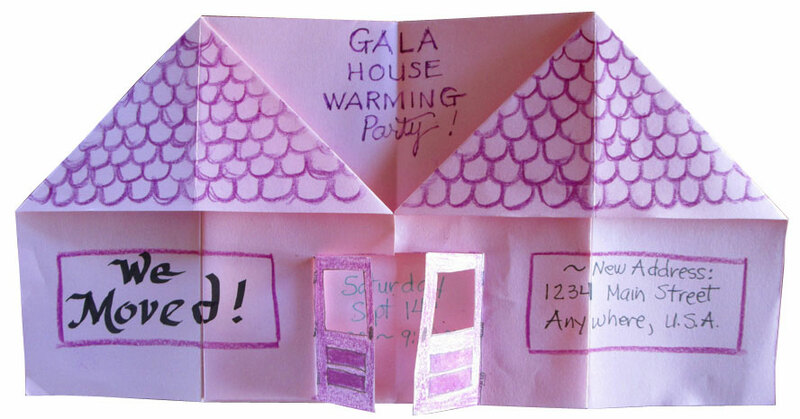 It is especially suited to announce a new address and/or a house-warming party! 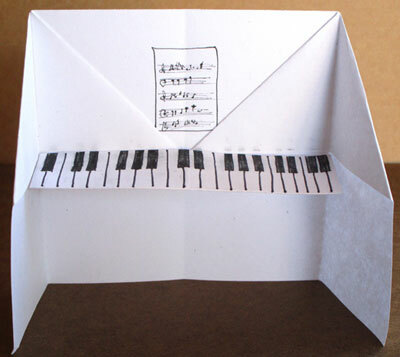 Smaller versions can be used as ornaments on a holiday tree or arranged in clusters for a small origami display. 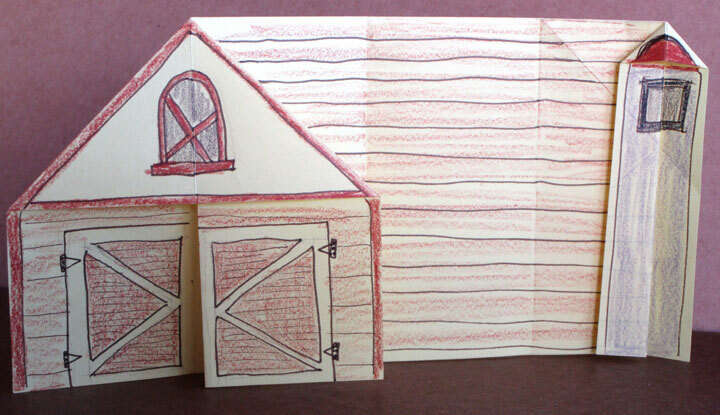 With a stack of paper and a little imagination, an entire village can be created. 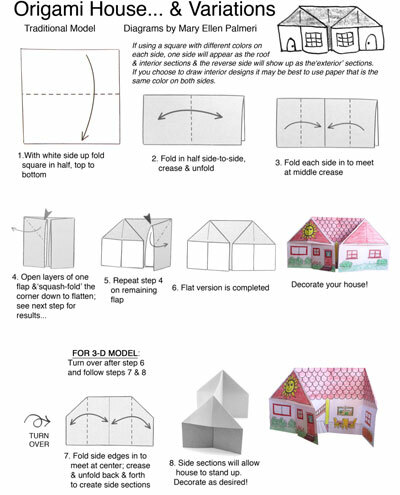 After drawing on details adorn with glitter or faux snow! 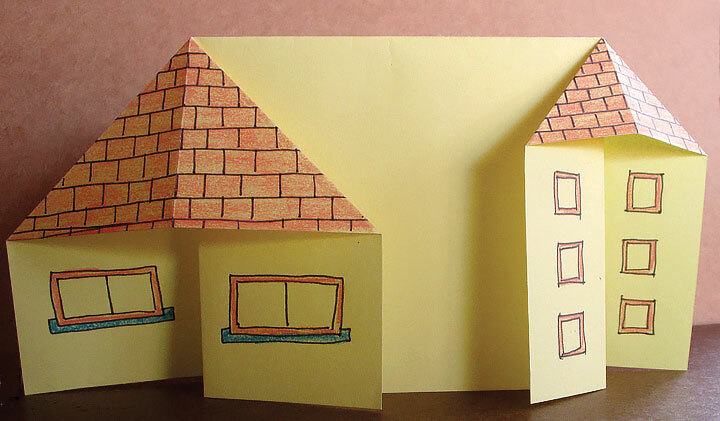 Folding a large paper square results in a doll-house model that can accommodate small toys.